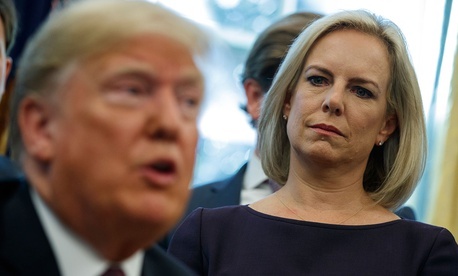 The White House unilaterally reinterpreted the agreement in the spring of 2017to exempt people convicted of crimes from its protections, allowing the administration to send back a small number of pre-1995 Vietnamese immigrants, a policy it retreated from this past August. Last week, however, a spokesperson for the U.S. embassy in Hanoi said the American government was again reversing course. The about-turn came as a State Department spokesperson confirmed that the Department of Homeland Security had met with representatives of the Vietnamese embassy in Washington, D.C., but declined to provide details of when the talks took place or what was discussed. Spokespeople for the Vietnamese embassy and DHS did not immediately respond to requests for comment. The Trump administration’s move reflects an entirely new reading of the agreement, according to Ted Osius, who served as the United States ambassador to Vietnam from December 2014 through October 2018. Osius said that while he was in office, the 2008 agreement was accepted by all involved parties as banning the deportation of all pre-1995 Vietnamese immigrants.